Ever wondered just how grain and water are transformed into an effervescent, alcoholic beverage? From prehistory to our own time, beer has evoked awe and fascination; it seems to have a life of its own. Whether you're a home brewer, a professional brewer, or just someone who enjoys a beer, The Chemistry of Beer will take you on a fascinating journey, explaining the underlying science and chemistry at every stage of the beer making process. 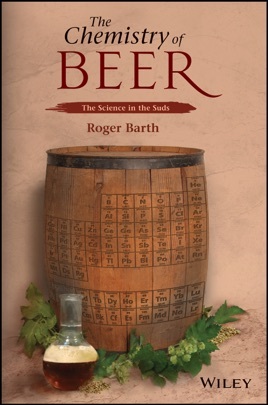 All the science is explained in clear, non-technical language, so you don't need to be a PhD scientist to read this book and develop a greater appreciation for the world's most popular alcoholic drink. The final chapter discusses brewing at home, including safety issues and some basic recipes you can use to brew your own beer. There's more to The Chemistry of Beer than beer. It's also a fun way to learn about the science behind our technology and environment. This book brings life to chemistry and chemistry to life.